Government-designed fonts were chosen to communicate authority and help grease the gears of the day to day grind. Authority beckons back to these days with it’s mildly condensed feel, squared corners and strong presence. We’ve also added another dimension to the typeface by creating a typeface for each time period in the fonts life including: Standard (freshly printed), Rounded (Slightly worn and used) and Distressed (worn down by the day to day interactions with the world). 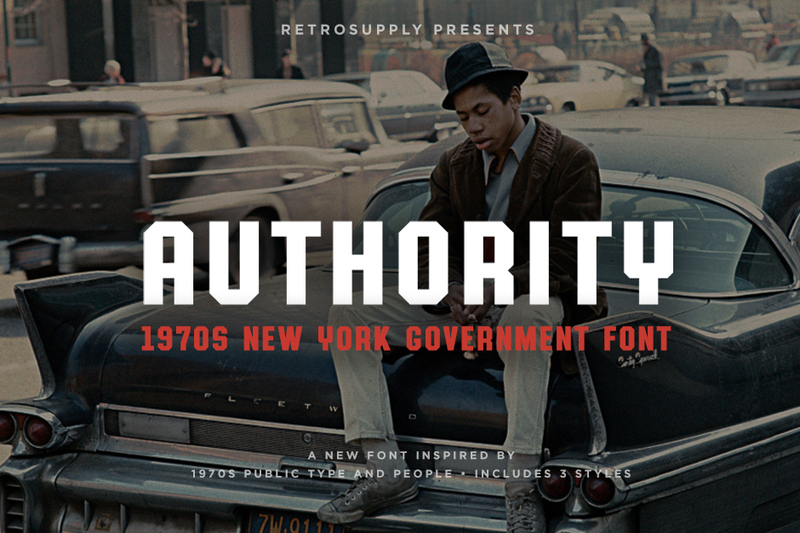 Six 1970’s government-inspired typefaces in three styles: Standard, Rounded and Distressed. Support for 75 languages and additional characters. File size is approx 2.8MB (10.7MB unzipped), offered as a single download.